2 Bedroom Semi Detached House For Sale in Tunbridge Wells for Guide Price £325,000. 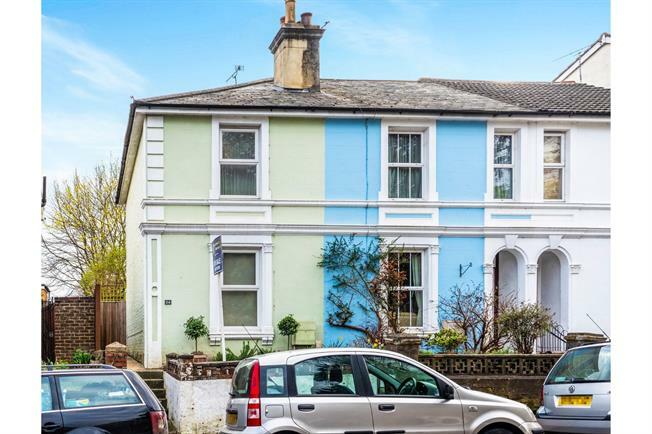 Freeman Forman are delighted to present this beautifully decorated and recently renovated, spacious two bedroom end of terrace Victorian property situated in the sought after residential area of Hawkenbury in Tunbridge Wells. The accommodation is comprised of an entrance porch, a bright and modern kitchen and a large open plan living space with feature fireplace. Stairs rise to the first floor where two double bedrooms are offered and a beautifully styled bathroom. Outside the courtyard garden is private and south facing, catching plenty of sun all day long. Within easy reach of Tunbridge Wells station and town centre a viewing comes highly reccomended.